This is a simple active vs passive rook position, where Black's rook is in a terrible position. 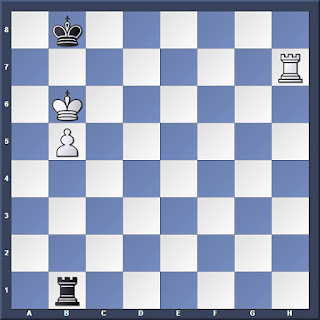 White wins by getting his king to the other side of the pawn to support its advance. However, he must watch out for potential stalemate traps. 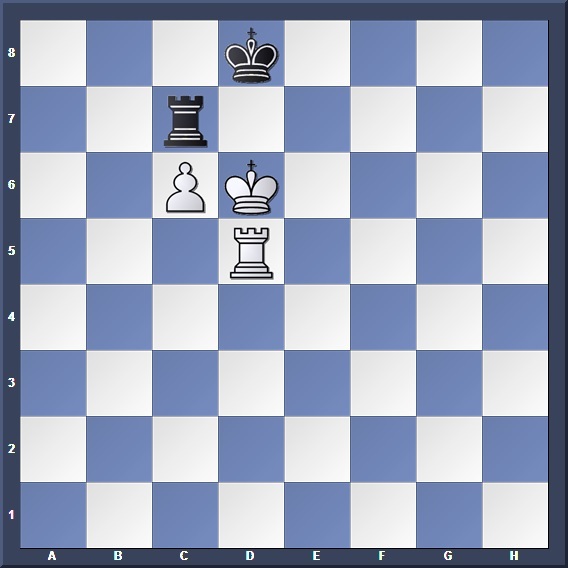 Position 2: Black to move, can he save the game? Looks familiar? Yes: That bloody Philidor Position, which has been giving you so much misery, has returned. 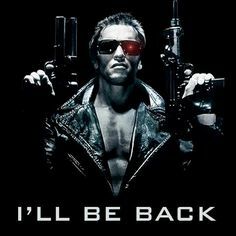 Didn't I warn you the other time? But if you are well versed in your rook endgame foundations you should have no problem finding the draw for Black. All he has to do is to play 1.... Kb8! moving his king to the short side of the board. The rest of the drawing technique can be found in the Inverse Philidor link. Position 3: How about this? Position 4: White just played 1. g3. Can Black win? This is a peculiar position that seems to have nothing in relation to what we have learned so far. However, one would realize that White can simplify to a basic pawn-on-7th-rank position, with Black's pawns on the g or h-files. 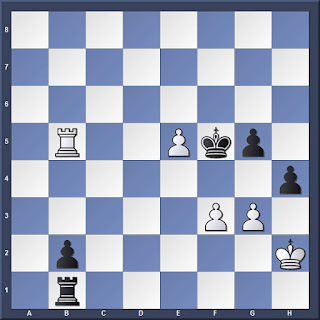 This, as shown in the following link, is a simple draw for White. From the above positions (especially Position 4!) 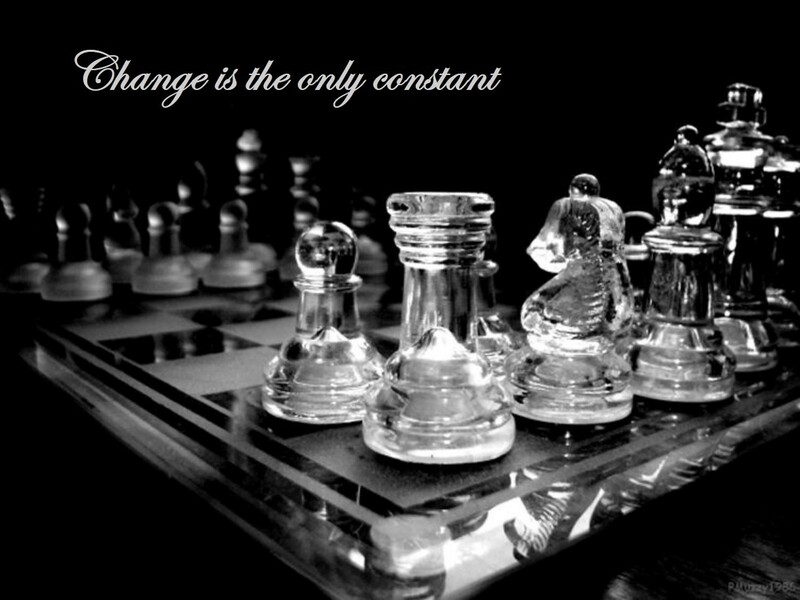 we can see how important our "building blocks" are in forming our endgame foundations. 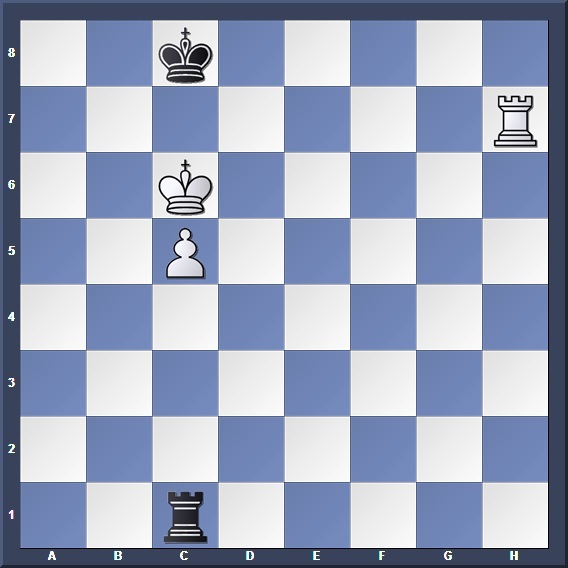 The chessplayer who knows the ins and outs of the Philidor or pawn-on-7th-rank positions can quickly find the solution to these puzzles, while the freshman would find it challenging. So do take more time to look back onto the "Rook Endgame Database" we have built so far!